Follow along live as the Sounders face off with Sporting Kansas City in the Western Conference knockout round on Thursday night at CenturyLink Field. Kickoff is set for 7:25 p.m.
Pray I am wrong but #SEAvSKC feels like it’s going into overtime already just to spite the East Coast. Seems like any time Seattle has to build from the back, they can't get anything done. Torres just had his 5th giveaway trying to hit Mears. HT - Still searching for that opening goal. 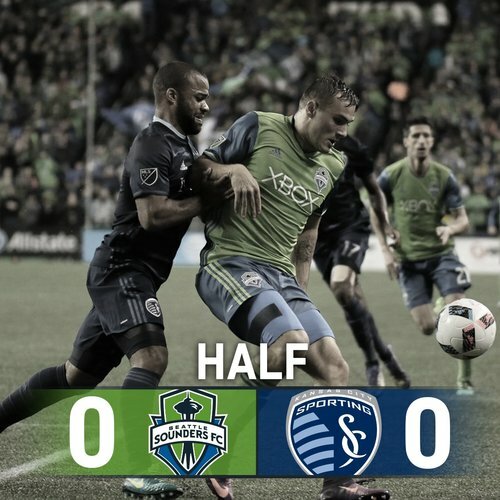 Scoreless first half in knockout match between #Sounders and SKC. Lots of intensity, very physical. Lodeiro, Torres, Morris, Jones have all played in big games before; perhaps they (Torres) just need to click it into that gear for this one. Checking in again. How's everyone feeling right now? Congrats to @PaulTenorio on breaking the Wilmer Cabrera to coach Houston news. 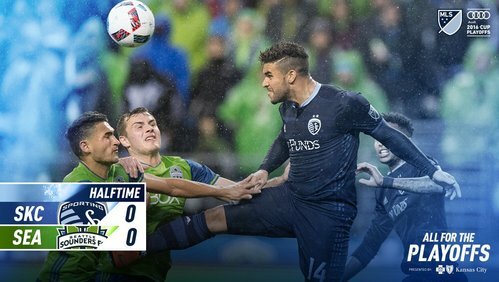 2nd half between @SportingKC and @SoundersFC with @nate_bukaty on the call coming up LIVE on 810 and on the 810 app! 6 - 6 of the last 8 @MLS between @SoundersFC and @SportingKC have been goalless at halftime (counting tonight). Cagey. Back for the second half! LET'S GO, @SPORTINGKC !